Let's Lace It With Brandy! I remember people used to make French Onion Soup as part of a dinner party menu - it was terribly ‘in’ in the 60s, egged on no doubt by Robert Carrier, the showman chef ‘that launched a million dinner parties’! Difficult to imagine how the dinner guests got through the remainder of the courses - it’s a darned good soup when it is made with loving care and attention but boy, is it filling! 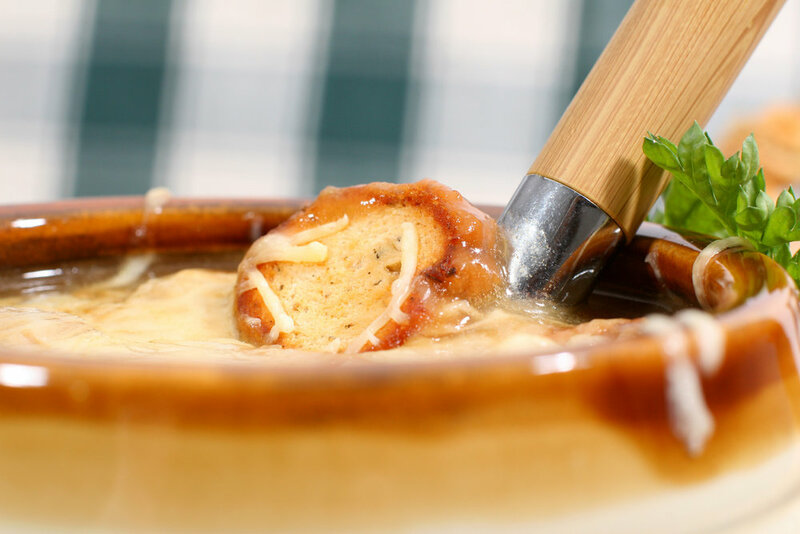 This Onion Soup Gratinée is taken from Margaret Costa’s masterful Four Seasons Cookbook. A mighty tome but the millions of Margaret Costa fans around the world simply couldn’t live without this book - it is a true classic. This is one of her very many inspirational quotes. “Fine cooking is as different from day-to-day meal-providing as delicate embroidery is from darning socks - but not so difficult. It doesn’t demand a very high degree of skill and expertise - except, perhaps in the highest reaches of the confectioner’s art - but it needs enthusiasm and imagination, time, patience and practice. To set aside a few leisure hours each week in which to enjoy cooking, to prepare an interesting new dish or bake an unusual cake with all the care it deserves, will reward you as this sort of loving care always does, and it will improve your everyday cooking out of all recognition”. 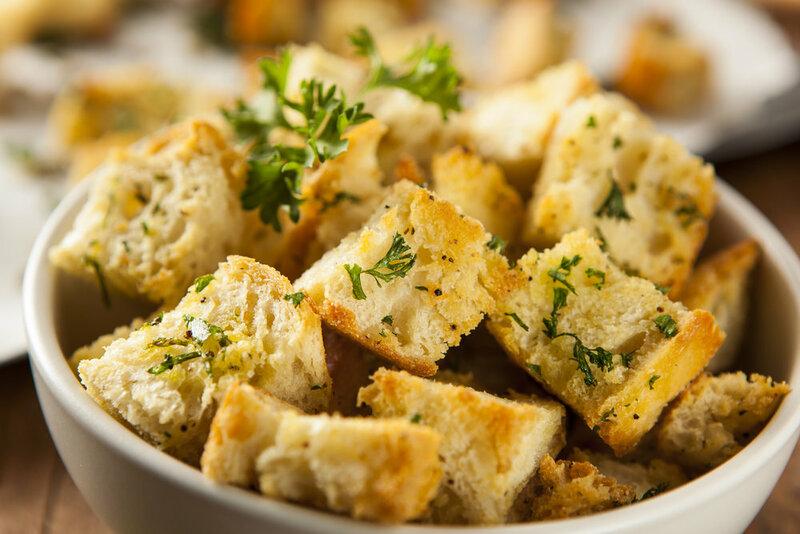 Some soups absolutely deserve a home-made crouton! The ones that come in little packs WILL NOT DO - dry, tasteless and simply not worth the spend! Eureka! I came across Joanna's recipe on the The Pioneer Woman website with splendid step-by-step instructions and they work every time. Plus, I have experimented with all sorts of additional flavourings - herbs and spices, different cheeses, tiny cooked bacon and/or chorizo added - the list is as endless as your imagination! AND... they have some pretty-darned tasty soups on the website too - have a look!